As the name suggests, Lucky Links slots is all about lucky chances that let you win a lot of money. It has been created in a joint venture by Just for the Wins and Microgaming. There are some aspects that make this online slot quite popular among gamblers, such as the interactive interface, exciting gameplay options and the scope to win a good number of prizes. 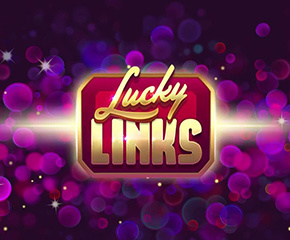 Lucky Links slots consist of 5 reels and offer 20 paylines. It is a low variance slot with 20 win both ways feature. You can place a bet starting from 10p per spin in the slot. The betting amount can even go up to £250. Another big advantage of this slot is that it can be played on your mobile devices too. When it comes to the look and feel, the interface of the slot is purple. The different symbols that you come across in the slot include clubs, hearts, clubs, diamonds and spades. The symbols that have a higher value are horseshoe, acorns, 4-leaf clovers and triple red 7s. The scatter symbol is the Lucky Links logo symbol. If you get this symbol, you will get around 7.5 times your betting amount. It is applicable for 5 across a payline. There are some bonus features that make this slot quite a rewarding experience. 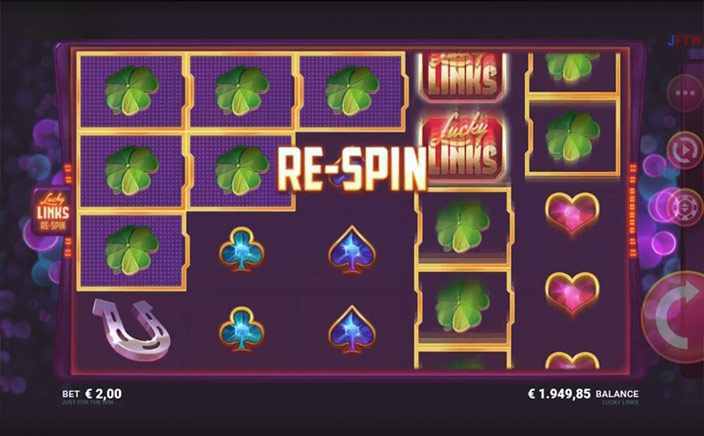 The Lucky Links is the only bonus feature in the slot and provides you with up to 352 times on your stake on each spin. In addition, there are free spins and respin features that you can bag if you are able to land at least three scatter symbols on the reels. The slot can be played by both professionals and those who are new on the gambling circuit. It has an RTP percentage of around 96.7% and typically pays out on every 3 to 5 spins. With a progressive jackpot of around 350x on your existing stake, it can be a good try to win rewards.